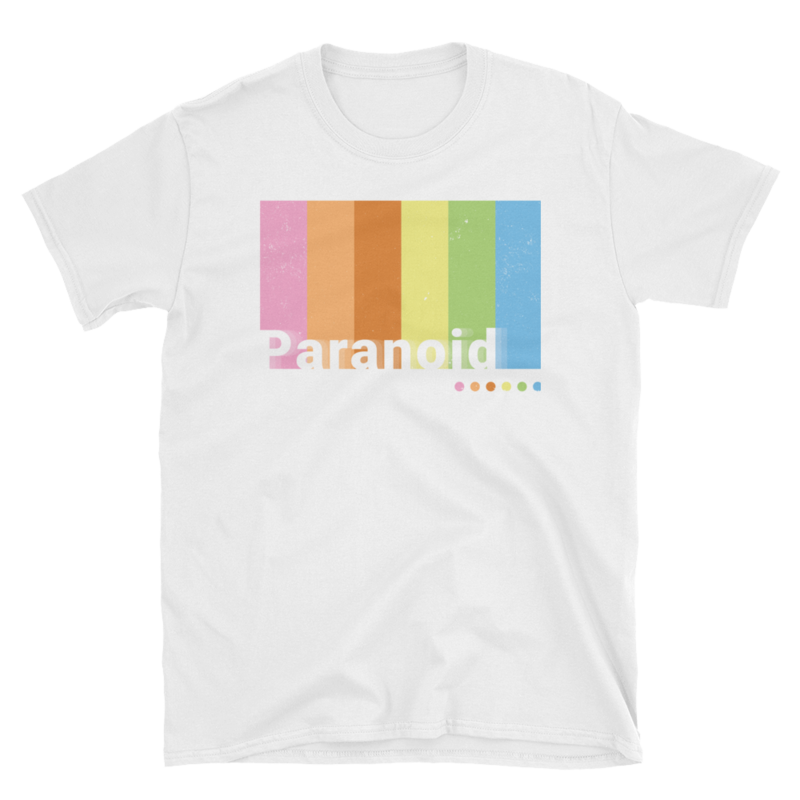 Do you look over your shoulder constantly? 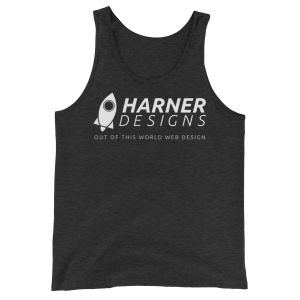 Jump at every thing your cat knocks over? 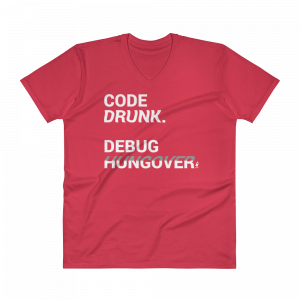 Then this shirt is for you. 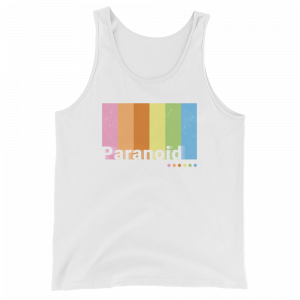 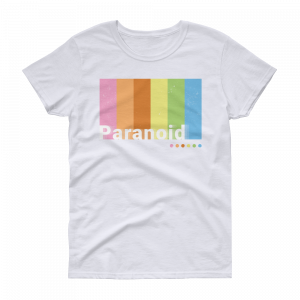 Paranoid Design On A Mens White T Shirt.